Some people have the notion that science is an unbiased method of interpreting the evidence, but that's not what happens. Science does not happen by scientists collecting data and then making dispassionate conclusions. They have their own beliefs, vices, ambitions, and presuppositions. Many times, they go beyond the reasonable boundaries of their disciplines and pontificate on philosophy that sounds scientific, but fails in several areas. Especially evolution. Many of these owlhoots get the bit in their teeth and run at a gallop by working their naturalistic philosophies into their speculations. Somebody holler, "Whoa!" They need some basic lessons in philosophical thinking, especially that branch of philosophy known as logic. From there, maybe they can humble themselves and get actual wisdom from the Creator. Some secularists seem to have been smoking the wacky tobaccy, or is it the people who pay them? Speculations that nothing is real, we are living in a computer simulation — not a shred of anything resembling evidence, and yet, the simulation thing seems to be a topic worth debating. Mayhaps a more productive debate would be among science fiction writers on how to best present that as a plot. In this exciting episode, we see scientists making nonsensical philosophical pronouncements about the fate of the Earth, when life should emerge, confusing artificial selection (which is actually a form of intelligent design) and new species, how orangutans mimicking speech relates to human origins, and more. An undergrad philosopher could make mince meat out of some scientists’ claims. They used to be called natural philosophers. Now, oftentimes, “scientists” (a label concocted by William Whewell) learn little about philosophy in their training. Science is supposed to restrict itself to observable, testable phenomena in nature. Like everyone else, though, individual scientists develop strong opinions about things, leading some of them to go far afield of observation. Scientists need to be careful with their pronouncements, because they speak with the presumptive authority of science. Here are some recent news items that illustrate the problem. 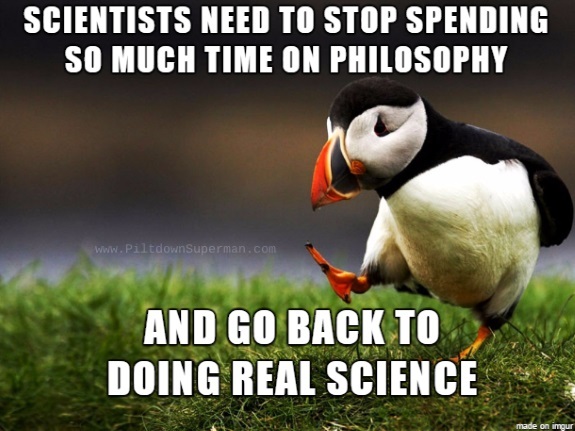 To finish reading, click on "Scientists Can Be Inept Philosophers".